First off, what is an escape room? In short, it is an adventure game in which you and a team of your friends are locked in a room and have to solve a series of puzzles to escape within a set time limit. If you like puzzles, working in a team with friends, or just fancy something new, then you should really try one. My wife and I are a little bit addicted to escape games. We first did one in Edinburgh when a couple of our friends who like puzzles and games visited us and we enjoyed it so much that we instantly booked a second one for the same day! Since then we have done lots of games in both the UK and New Zealand, and have run a couple of them for adults in Scouting. When brainstorming ideas for the Festival of Creative Learning with the Maths Outreach Team, I suggested running a maths-themed escape room and many people were keen on the idea, so here it is. Escape games are increasingly being used in education and team building, and we are having a lot of fun designing the puzzles and activities for this, as well as learning many interesting things from each other! The event, ‘Escape with Fermat’s Lost Proof’, as you may be able to guess, has a maths theme. It is important to point out that, whilst the puzzles are themed around mathematics and mathematicians, you will not require any knowledge of advanced mathematics to solve the puzzles. A logical approach and basic arithmetic are all that you will need. The story is that you have discovered Fermat’s original proof of his famous last theorem for which you can find out more here or in the excellent book by Simon Singh. The game begins when you discover one of the dastardly Professors in the School of Mathematics has stolen the proof and hidden it somewhere. You know that they are lecturing for the next half an hour and have managed to gain entry to their office. Unfortunately, the door has locked behind you. You have half an hour to find the proof and a way to escape. As well as escaping in the given half an hour and (most importantly) having fun, we would like you to come away having learnt something about mathematics and mathematicians throughout history. It is also a good chance to develop your puzzle-solving skills and get to know your friends or colleagues a bit better. For the more competitive amongst you, we have two rooms so you can go head-to-head and see which team escapes quickest! We will be keeping a leader board of the fastest teams throughout the Festival. Everything you need to solve the puzzles is in the room so you don’t need to bring any special equipment or clothing. The puzzles require minimal physical strength and are accessible to almost anyone. Most escape rooms cost around £50-100 per hour, so this is an excellent opportunity to try one for free and see how much fun it can be. We are running the room 13:00-19:00 on Wednesday 22nd February and 12:00-19:00 on Thursday 23rd February, so there are plenty of opportunities to take part whether you are staff, students or alumni (or a mix!). We recommend teams of 2-6; if you have more people then you could book two (or more) time slots. If you would like any further information then please contact Ben Goddard (b.goddard@ed.ac.uk). The Festival of Creative Learning blog returns! Welcome to the first Festival of Creative Learning blog post of 2017. Since the last entry we have been in a period of transition and working hard to introduce the new Festival. In December two members of staff joined Silje Graffer at the Institute for Academic Development (IAD) to support the ongoing development of the Festival: Jennifer Williams has taken on the role of Projects and Engagement Coordinator, and Lucy Ridley joins as Projects and Engagement Administrator. We will be adding to this blog on a weekly basis in the run up to the Festival and are looking for contributions. If you are interested in writing a blog post for us on any aspect of your involvement with the Festival, please contact us. December was a very busy month and saw the launch of the Festival of Creative Learning calendar for the curated week this 20-24th February. If you are not a member of the University of Edinburgh Community and are interested in attending an event, please contact the Event Organiser (details on the calendar entry) or look out for listings on Eventbrite. We are excited by the range of events planned and encouraged by how students and staff from across the University have embraced the opportunities this Festival presents. The Festival of Creative Learning Guide went to print, which gives a taste of some of the events in the programme and also details the aims and values of the Festival. You can access the Guide online, or pick up a copy from various venues across the University. 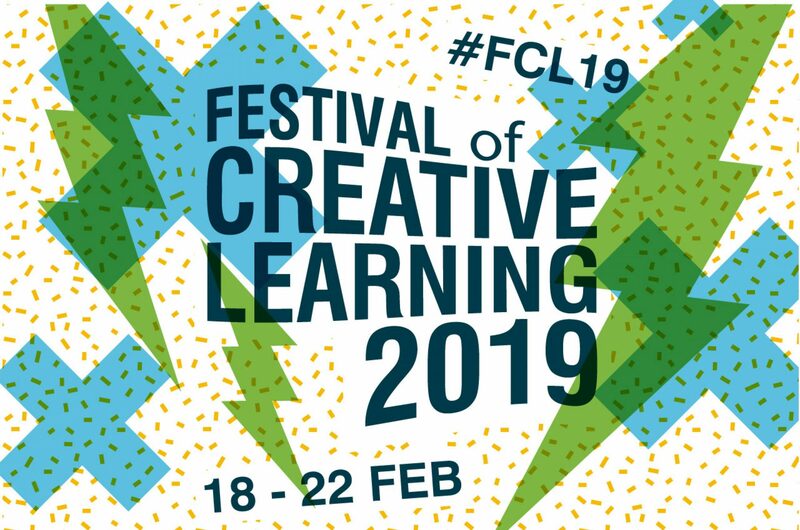 In the coming weeks we will be distributing Festival of Creative Learning Guides and tote bags and are currently recruiting for three student Promotions Assistants to support us with this. If you are interested in applying for this role you can find further information on our Facebook page here. Finally, as a reminder for all our Event Organisers, the penultimate Meet-up will take place on Wednesday 25th January at 4pm in the room adjacent to our office at 1 Morgan Lane. In this session we will focus on making sure everything is in place for your event and discussing how you will evaluate its success. Refreshments will be provided and you can reserve your space here.